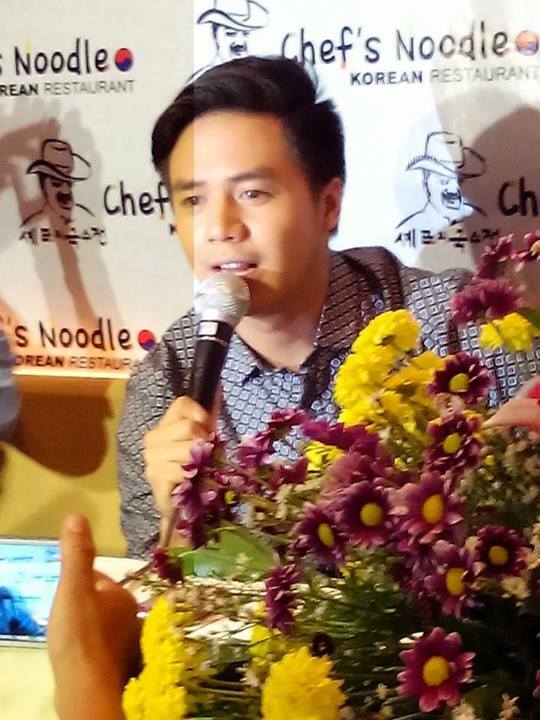 Actor and singer Sam Concepcion will be the new endorser of Korean restaurant Chef’s Noodle Philippines. He was officially introduced to selected bloggers and members of the media during an event last April 10 at their Robinsons Magnolia branch. “The restaurant has been known for its delectable dishes and high culinary quality. Who would not want to be associated with that,” Concepcion said, adding that it’s an honor for him to be a Chef’s Noodle endorser like television host Grace Lee as well as Miss Universe 2011 3rd runner-up Shamcey Supsup. Concepcion added: “I especially love Chef’s Noodle because you get to enjoy a delicious meal at an affordable price. It’s a cool combination of a fast food meal and a fine dining setting,” he added. Concepcion will also be one of the featured acts in “Arise,” the 30th anniversary concert of music icon Gary Valenciano tonight. In an interview with Buzz ng Bayan, Valenciano said he sees Concepcion as his “heir apparent.” He also described him as “one of the most underrated singers” in the country today. Speaking to The Filipino Scribe (TFS), Nancy Go, Chef’s Noodle’s operations manager, said their company decided to tap Concepcion because of his appeal to the youth. “We thought this brand needs a young face and someone who can help us with our target market,” she said. Chef’s Noodle offers a wide array of Korean cuisine which includes Starking Fire Sushi, Bibimbap, Japchae, Haemul Seafood Pajun (Korean pancake with shrimp and squid, spring onions, and bell pepper), Leek Shrimp Twigim, Chicken Kas (breaded chicken fillet with white creamy sauce), and Spicy Dukbokki. 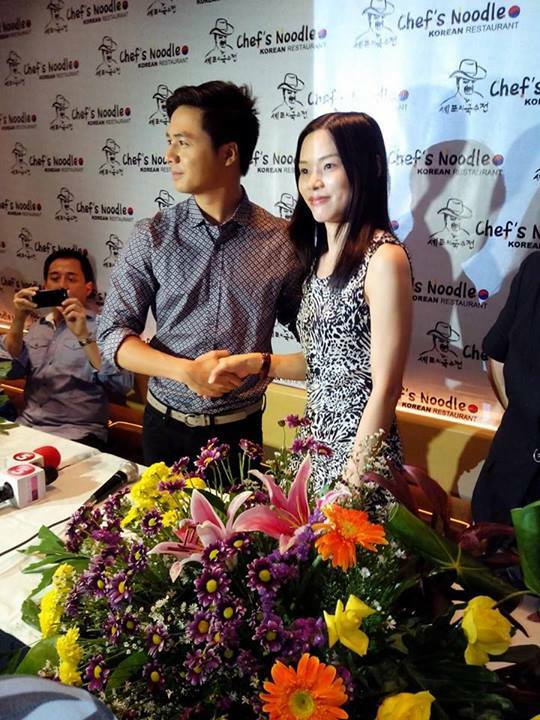 Visit Chef’s Noodle Philippines’ official Facebook page on this link.